At least we have Cheerios? The news of genetically engineered (GE) foods is certainly circuitous. Recent news came literally in a round shape when General Mills announced that their 73-year-old breakfast cereal, Cheerios, would be free of GE products. 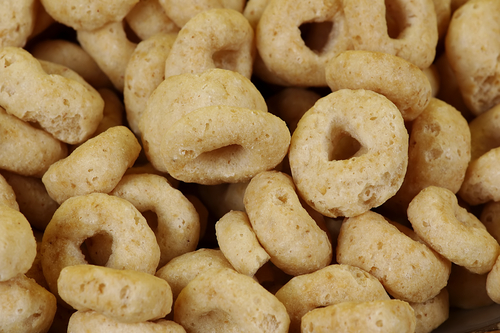 Cheerios is one of the highest profile brands fed to millions of kids across the country. Bowing to consumer pressure and the “As You Sow” group who engaged with General Mills in requesting that it reformulate its iconic Cheerios product. , The Wall Street Journal reported that General Mills had been working to rid Cheerios of GE products for the past year. The cartons will voluntarily display “Not Made with Genetically Modified Ingredients”. Alas, it only affects the original flavors and not the Honey- Nut flavor, but it’s a step in the long march towards transparency. I know many a toddler who is fed cheerios as a mainstay, and this will rid one source of GE products from their diet. Thank you General Mills! Now let’s think about feeding our children more whole organic food. Another circular piece of news on genetically engineered foods (GE) was a repeat appeal to rally for another GE labeling bill in the state of California. The new Coalition “Californians for GE Labeling” rallied at the state capitol in Sacramento on Monday, January 6, to begin the invitation for a state representative to author a GE labeling bill. Inspired by the massive national momentum CA Prop 37 championed in 2012, Connecticut and Maine have both passed GE labeling bills. There are now GE labeling bills being worked on throughout the USA in 25 states, including active bills in NY, MA, NJ and others. California came close to passing a labeling bill in 2012. Will 2014 be the year California circles around and gets the job done? You can keep up with their progress at The Center for Food Safety’s website. While progress is being made in some areas, the big chemical companies are making advancements of their own. On January 3, The U.S. Department of Agriculture’s (USDA’s) Animal and Plant Health Inspection Service (APHIS) released its Draft Environmental Impact Statement (DEIS) to determine whether to deregulate genetically engineered (GE) corn and soybean plants that are resistant to several herbicides, including one known as 2,4-D. Dow AgroSciences is the first patent holder of the GE corn and soybean plants developed to be resistant to 2,4-D. Unfortunately the choice to deregulate the GE corn and soybean plants was the option recommended by APHIS, saying, “ they do not pose a plant pest risk to agricultural crops or other plants in the United States”. 46 million pounds of 2,4-D are applied to millions of acres of agricultural land every year and this means that more 2,4-D will be used in our food production. The risks to human health are widely documented. The Natural Resources Defense Council has information on their website about the studies linked to cancer, cell damage, hormonal interference and reproductive problems. If you want to view the decision by APHIS and the EPA, it will be available January 10 at the federal register. AHPIS will be accepting public comments on this decision before its finalization and I will keep you informed, dear reader, when this is available. Finally there is a place you can speak up on the dangers of this GE advancement. USDA is seeking comments on a proposal for the co-existence of farmers who use GE crops and those who don’t: Organic and Non-GMO farmers. The threats of GE contamination to organic farmers are great and the economic loss can be devastating if organic farmers’ crops are detected to have GE material. We have until March 4, 2014, to read the proposed rule and make a comment. Organic farmers should not bear the burden of purchasing crop insurance if their fields are contaminated. Let the USDA know how you feel. It was just in 1996 that GE foods were introduced into the U.S. food supply by the biotech industry. Now over 70% of all processed foods contain GE products. What this means is that most US children under the age of 19 have been on a steady diet of GE Foods since birth. There has not been adequate testing for human health or environmental risks of GE foods. In fact, independent GE feeding studies on rats, pigs and human breast cancer cells show causation for health risks. Even the FDA’s own scientists recommend labeling of GE foods. 64 countries around the world, including the EU, China, Russia, and Japan, label GE Foods. Why not the USA? Well at least now we have Cheerios? This entry was posted in GMO, Labeling, What is Organic and tagged Cheerios, Genetically modified food, Organic Agriculture. Bookmark the permalink. I just got this and wanted to comment but the comment period has closed as of January 3. Sorry, which comment period are you referring to? The GE Corn and Soybean recommendation is closed but will re-open after the final rule. Thanks for being active in the process! Thanks for this extremely informative post. One question, though: are we now headed into muddy waters regarding the terms �genetically modified� and �genetically engineered?� Does the average consumer know the difference? For that matter, do the people behind the new CA proposition? From: Organic Matters Reply-To: Organic Matters Date: Thursday, January 9, 2014 at 5:46 AM To: Sheila Linderman Subject: [New post] At least we have Cheerios? Great point. I don’t think that they do. There is much communication and education that needs to go into the terminology. OTA will address this as well in their comments. Thanks for reading and commenting!